Let’s face it… we’re living in very polarized times. We think that an opinion is a fact, and we think that if anyone has an opinion different from our own, they're uneducated, stupid, or dumb. And we don't hesitate to tell them so. Maybe you've been told, "I'm just trying to help you understand." But you do understand, you simply don't agree. Or how about this one? "Let me educate you." But who decides who's educated and who is not? We hide behind passive aggressive comments on Facebook or Twitter, attacking others, or being attacked. We seem to have forgotten how to have civil discourse, and how to agree to disagree. It's my way or the highway. An old adage is to walk a mile in someone else’s shoes, but we don't do it. We make judgments from our own perspective and beliefs about how the world should be, but sometimes, we don't even see it as it truly is. We operate out of fear because we have led relatively inexperienced lives, and we don't understand how anyone could think differently than we do. 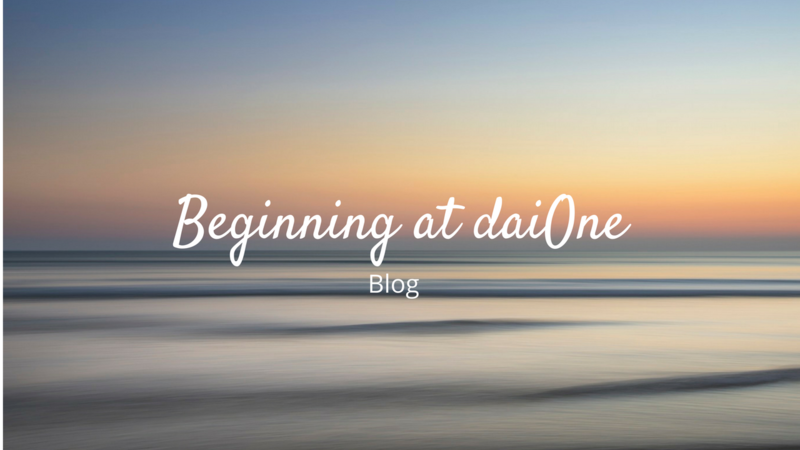 We want to do good, but we approach "doing good" from our own perspectives. But, what's good for me may not be good for you. Suppose I deem "good food" as food defined in the U.S. by the United States Department of Agriculture. I try to eat every day according to their diagram, and I feel pretty healthy doing it. But suppose you know someone who has celiac disease or an allergy to dairy. To chastise them for not eating according to suggested guidelines is unfair. Doing so would be detrimental to their health, perhaps even deadly. Let me give you another quick example. We say we value equality, yet everyone is not equal. Whether we look at socioeconomic status, gender, race/ethnicity, or on and on, we can find thousands of examples where people are not equal. Yet, we get mad when it gets pointed out, because it goes against our value of equality. Thinking we're doing the right thing to help, we take up the banner of those less fortunate than us, without fully understanding the issues from their perspective. There are good intentions in helping, but what's helpful from our perspective may not be helpful from the perspective of those who we are trying to help. I believe we can do better. 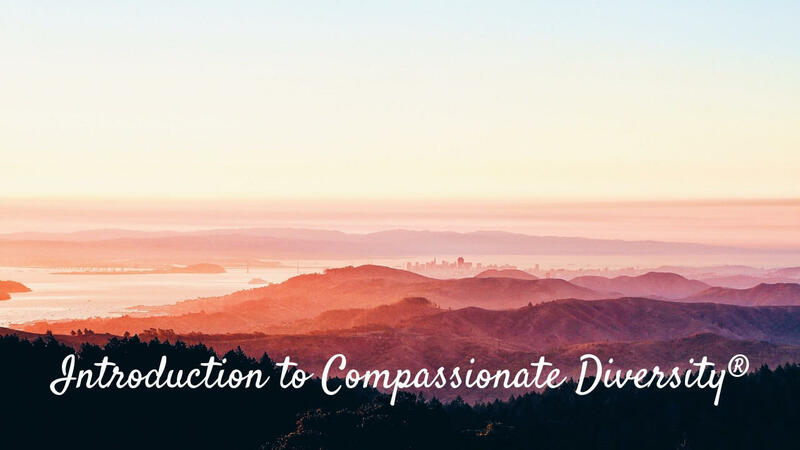 Compassionate Diversity® integrates concepts and research from the fields of intercultural communication, emotional intelligence, leadership, neuroscience and more into powerful tools for change. It uses three interrelated concepts - Comprehension, Connection, and Compassion - to help build empathy and create an action plan for addressing the historic and systemic issues that are a part of our current world. Using compassion as an approach to diversity & inclusion (D&I) does not excuse the historic and systemic injustices in society. In fact, compassion demands even more effort than the old, worn diversity path that hasn’t worked for years, because it requires us to actually take time to understand how these injustices affect everyone from their perspective. Reaching this point is a step-by-step journey, calling for not only deep introspection, but also an ability to recognize injustices, understand different perspectives, and step in to another person’s shoes in a respectful, curious, caring way. Through compassion, we can affect the change we need to make in our organizations and in our world. If you’re interested in learning more about Compassionate Diversity®, sign up for our free webinar on the 7 Principles of Compassionate Diversity® here.